We take great pride in our work and our presentations. So it was without hesitation that we visited Mathew Neilson from Matblac to make a felt and leather pouch for our presentation mirror. 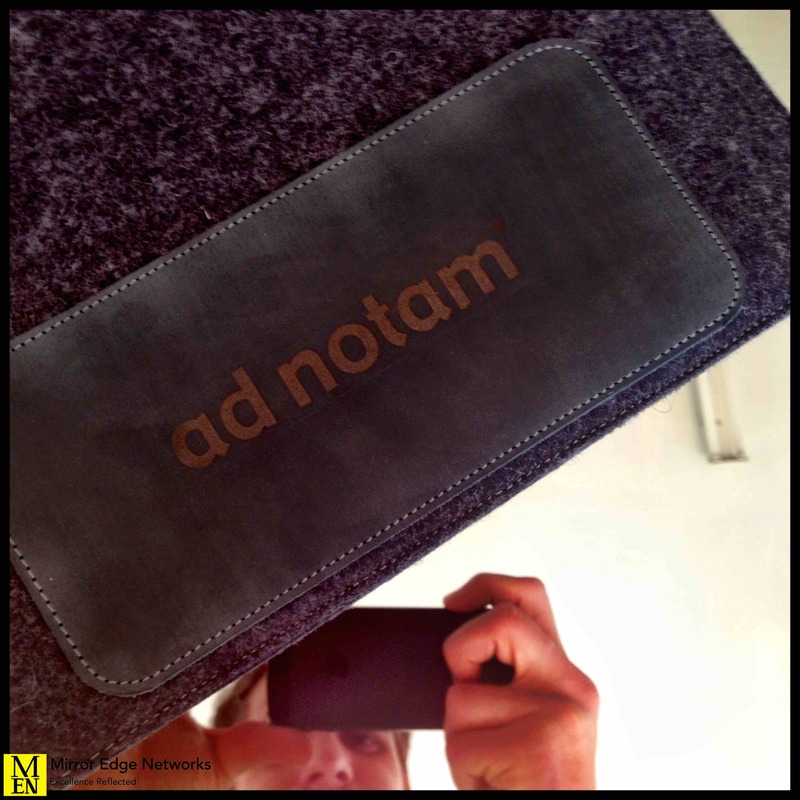 Mathew put together this completely functional and great looking pouch and added the detail of laser engraving the ad notam logo onto the front for us. Our recommendation goes out to using Mathew for any custom work that you require, just keep in mind that due to his busy schedule and high quality of work it may take a short while for your bespoke piece to be completed. This wait is completely worth it though.